A scientist and the patterns of behavior of the detainees………And the shocking ending. You will have to break out of all the rooms to find out the hidden secrets. The secrets that you get to know every time you get out of the rooms successfully will remain and conquer you in your head. 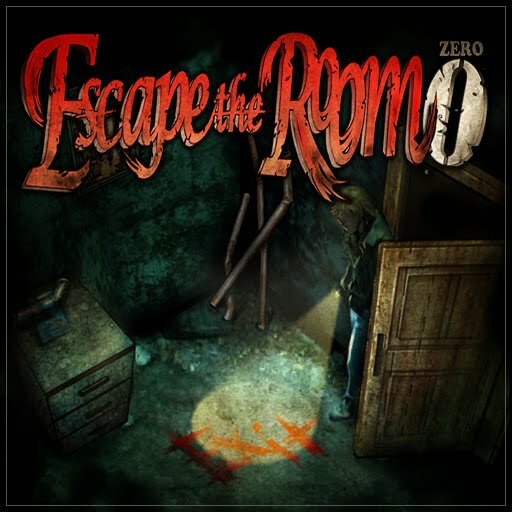 Use all necessary means to escape from the rooms! Secrets behind the doors will be waiting to be revealed. - Breaking out of the rooms is the main purpose of this game. - You may win items, hints from tricks in the rooms. - Items can be utilized by using particular physical actions such as [USE], [COMBINATION], [DISMANTLE], [OBSERVATION]. - The information and items you acquire in the rooms could be the key to lead you to successful break-out. - You are going to figure it out! Believe in yourself! You will be the winner at the end! Hi Nategame - How can I email you? There seems to be a glitch on the room with the chewing gum and chest with the move one colour to the otherside, whenever I solve it the game freezes up, so I tried using my god's hand and same thing happens again,and now I have no god's hands left. Also could you put in a save feature like in escape the room 2, as it keeps crashing while I'm playing and then I have to start all over again. The game indeed is really requiring to system. I played it on my ipod touch 3g and it lacked memory for it. Before playing, close all applications and free up memory (with SBSettings, for example). Or just reboot. I am now in room 7 & I have to keep restarting after it freezes. I purchased a special bundle and I have lost them before I could use more than a few. So like and addicted person to your games, I bought more. I am stuck in room 7 with no specials and my husband will kill me if I buy more. This has been the most frustrating games I have ever played. Please help I'm loosing my mind. I'm finally in room 11 with a lot of issues with the game. It keeps freezing up. I can only get so far in room 11 & it reboots itself & I have to start over. I also believe there are some clues it won't let me have. I've picked them up before it revolted the first time. I'm so frustrated, but there are so few games like this that I enjoy. Hi Nate games. Why don't you make sure your games work BEFORE you release them?! Do you really think it's fair to charge people $6 for a game that has so many bugs it's virtually unplayable? Show some pride in yourselves and your work next time. FIX IT - RIP OFF -Reported game crashes back in April - still does not work - I purchased all your escape games - bunch of thieves - are you ever going to fix it - let see - dahh has been 5 months - That answers that one - APP IS CRAP - ALONG WITH YOUR COMPANY !